Bodega Catena Zapata is credited to be the pioneer Argentine wine producer from the renowned wine region of Mendoza. Founded in 1902 by Italian immigrant Nicola Catena, Catena Zapata has been producing outstanding wines ever since. Dr. Nicolas Catena Zapata, a 3rd generation winemaker in pursuit for fresher, colder and more challenging terroir started the high-altitude revolution in Argentina. He began by planting for the first time at 1.500 m.a.s.l in Gualtallary, in the Uco Valley giving birth to the renowned, 100-point Adrianna Vineyard. Currently, Bodega Catena Zapata is managed by a 4th generation vintner, Stanford and Harvard physician, Dr. Laura Catena, who also created the Catena Institute of Wine in 1995. The institute’s mission is to continue elevating our historic variety Malbec and our Argentine winemaking regions for another 100 years. Today, the team of the Catena Institute of Wine is dedicated to studying every meter, every rock, every insect and microorganism in the Adrianna Vineyard, making it perhaps the most studied vineyard in the world. The Catena Wine institute’s first “parcelas” (lot) project, gave birth to the most famous, high-scoring and high-altitude chardonnays in Argentina: The Adrianna White Bones and White Stones. Marina is a true citizen of the world. Born and raised in Argentina, she has also lived in Canada and China, and speaks several languages: Spanish, English, French, Portuguese and a bit of Chinese. She holds a Masters in Global Communications from a joint program between SFU Vancouver and CUC Beijing. 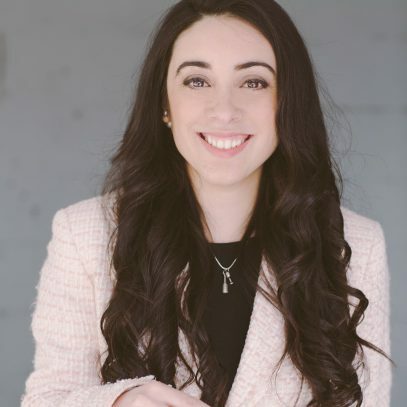 While in Canada, Marina worked at Kitsilano Wine Cellar where she fell in love with wine and was offered the position of Catena Zapata Brand Ambassador in Asia-Pacific. Now back in Vancouver, Marina is working as Catena Zapata family ambassador in both Canada and Asia. Marina’s wine passion started by accident when she moved to Mendoza to pursue her BA in International Relations. She was invited to an “Asado” (Argentina’s sacred BBQ) where the only drink offered was wine, and when she asked for another beverage (she didn’t like wine at all at the time! ), she was told: “This is Mendoza, you either drink wine or die out of thirst.” She did so very obediently, and Marina and wine have been best friends ever since. A very oaky and fruit-forward Malbec was her first love. Marina is passionate about making a difference in the world. For the last decade she has belonged to JCI, a group of young people dedicated to creating positive change, locally and globally. Marina has represented Argentina as the captain of the debating team in a JCI World Congress. Her public speaking skills have become legendary among Catena Zapata’s importers in Asia! During her free time, Marina enjoys meditation and dancing Salsa and Bachata. The cool climate component in Mendoza, Argentina and therefore at Bodega Catena Zapata comes from altitude. Nicolas Catena Zapata in the 90s planted our stellar vineyard: “Adrianna” in Gualtallary, a sub-appellation of the Tupungato IG in the Uco Valley at 1500 m.a.s.l with a single goal in mind: to find the coolest location for growing vines in Mendoza. Ever since, Bodega Catena Zapata is regarded to be the pioneer of high-altitude viticulture producing the most prestigious wines from Argentina. In terms of the Winkler classification, a method developed in California to add degrees and categorize regions according to their climate, the weather at Adrianna is between zone 1 and zone 2 depending on the year, putting it between Burgundy and a very cool part of Bordeaux. Over the next few years the wines consistently proved to have more minerality and more acidity than wines from other sites in the Southern Uco Valley at lower altitudes. Much of the difference lies in the hours of sunlight and in the brightness of the sun, which permits photosynthesis to run freely and ripen aromas and tannins (in reds), while the cool climate allows the vines to preserve acids and keep the sugars in check. In the lower-altitude areas of Mendoza in the East, most musts need to be acidified, but the natural grape acidities at Adrianna and are optimal, and no additives are necessary to balance wines. The geologic origin of the Adrianna vineyard dates to the Eocene period, over 50 million years ago when the Andes Mountains were formed, and volcanoes and earthquakes ruled the land. Volcanic subsoil holds one of the secrets of Adrianna: it’s phenomenal drainage. No matter how hard it rains, it is impossible to get very high yields or botrytis rot.